A MUST SEE!! 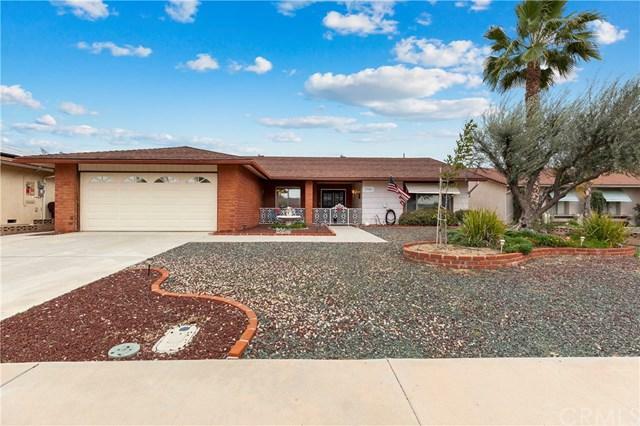 TURNKEY Menifee 55+ single story home situated in the tranquil Master Planned Community of Sun City Civic Center. 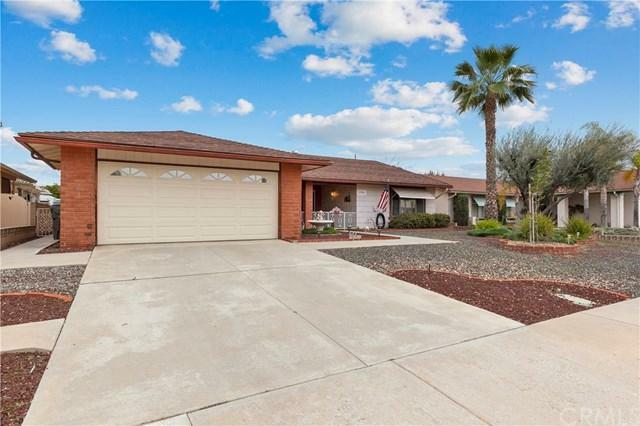 You walk into an open floor plan created with lovely laminate wood flooring throughout the Living, Dining, also Bonus room which includes; Heating, A/C, windows & rear yard access (approx. 380 sq. ft). Upgraded Kitchen were you are treated with tile flooring, beautiful granite counter tops, new stainless steel appliances and a breakfast bar that over looks the Family room. The family room has a brick fireplace making it a very cozy spot. The Bedrooms are carpeted and there is tile in both bathrooms for easy maintenance. There are window treatments in all rooms, high baseboards, crown molding in most areas and neutral custom paint. 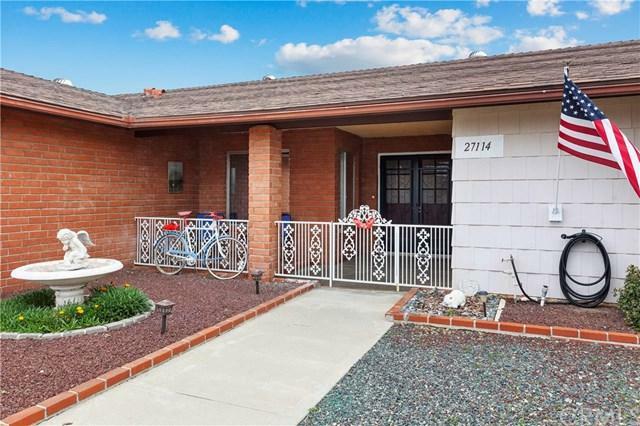 The spacious backyard has a covered patio area with a completely fenced block wall. The 2 car garage has a work bench and metal shelves for more storage. Great curb appeal with a quaint covered front porch and brick exterior. The designer details that can be seen gives this Home its warmth and character!Community amenities include; 2 pools, Spa, Fitness Center, an indoor tournament Shuffleboard Court, tournament Lawn Bowling, tournament Horseshoe Pits and a variety of Clubs and Activities, all of which enhance Sun City Senior Lifestyle! 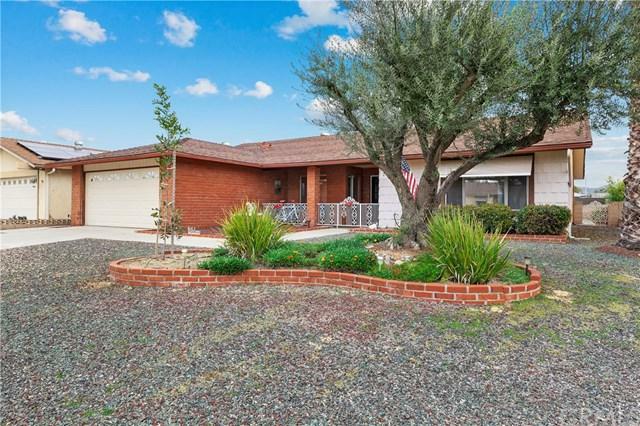 very low HOA's and Taxes.Make this your home!